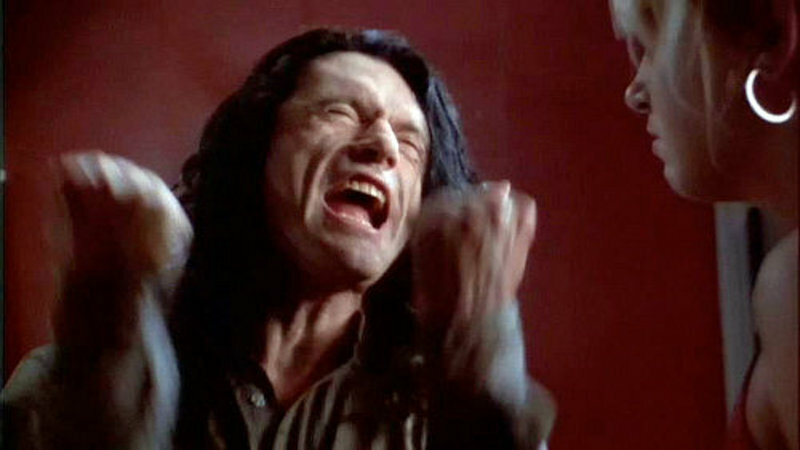 In the film The Disaster Artist (the behind-the-scenes tell-all about the making of The Room), there’s a scene where James Franco as Tommy Wiseau cries outside the theater as the audience at his premiere laughs uproariously at his creation. This is what separates films like The Room from the Sharknado franchise, which has enjoyed totally undeserved commercial success as “intentionally bad.” I guarantee the Sharknado masterminds didn’t put their hearts and souls into their movies like Tommy did, regardless of how regrettable the result. But there’s a difference between a bad movie and truly bad acting. Say what you will about Ian Ziering and Tara Reid, they at least aren’t as big strangers to acting as some novice director’s next door neighbor or chiropractor. Have you heard of The Room? As a die-hard Mystery Science Theater 3000/Rifftrax fan, I’ve seen my share of bad movies. But none can match the sheer bizarreness, the pure stilted and honest (versus contrived) terrible acting and nonsensical dialogue featured in The Room. There’s a Rifftrax edition, but honestly, it’s barely needed. It’s truly the lowest of the hanging fruit. If you haven’t seen it, you’ve missed the greatest cult classic since Rocky Horror. I thought Tommy had the market cornered on “so painfully, cringingly bad it’s good.” That’s before I discovered the genius of Neil Breen. Like Tommy Wiseau, I couldn’t tell you exactly how Neil came into my life. I suppose after frequent mentions on the MST Facebook page I finally looked on YouTube, where as of this writing two of his films can be found in their entirety. First I found Fateful Findings. I can’t tell you how much joy this movie brought to my life. Wait, that’s wrong…how much amusement this movie brought to my life. No Rifftrax required. Neil finds a magic stone with his childhood sweetheart, then loses her, then finds her again years later after being hit by a car. That’s about where the coherency of the story ends. The rest of the film focuses on his very important work writing a book that will expose all the dark secrets of the banking industry and government (“What I have found will SHOCK YOU”). Honestly the edited version is all you need. Neil plays a mysterious ex-military man (highly decorated) who now carries out hacking hit jobs for anyone who will hire him (“I controlled access to anything and everything, even from my little simple brilliant setup” of “five laptops, six cellphones” and two full-size residential grade satellite dishes that need to be laboriously attached to his rear bumper every morning.). In this movie, his orders are from “another country” to “shut down the Las Vegas strip for two months” (don’t ask why or how, you’re on a need to know basis). Large swaths of this movie are Neil sitting in the desert pecking away at his multiple (AGAIN) laptops, pretending he’s taking down entire nations; or sort of relevant inserted stock footage; or Neil gingerly scaling the same small ridge of rock over and over again for reasons never explained. Also, his “six cellphones” are flip phones. This movie is worth watching just for the scene where he claims he can use his phone to unlock any car door. Honey, I had a flip phone and I could barely text on that thing. Your flip phone is NOT helping you break into cars (he also has a “conference call” with some “world leaders” and he’s literally balancing three flip phones to talk to them all. Even my parents’ old landline had conferencing capabilities). Again, there’s too much ludicrous to enumerate in written form. But I am picking up a clear pattern of Neil making movies where he’s the hero and the best at everything (a little like Trump; except I wouldn’t mind Neil for president since his heart is very much in the right place on environmentalism and global corruption in the 1%). He’s like a kid making backyard videos, except he has the resources to make them feature films (if not the talent). Which brings me to the last film I’ve heard about but can’t find, I Am Here….Now (I’m aware an ellipse has only three periods. The four-period usage is just the jumping-off point of what’s wrong with this movie). Or if reading’s your bag, this guy did a hilarious recap that makes me feel like I’ve actually seen it. Moving on from being the best human on the planet, in this film he casts himself as a divine alien/Christ figure who created mankind and is deeply disappointed with how we turned out (I hear you, brother. You’re my people). I can’t add much having not seen it, but the homework I’ve assigned seems to promise very similar deep hurting to what the other films have given us. Again, you’re speaking my language, but why do you keep making the same movie over and over again?